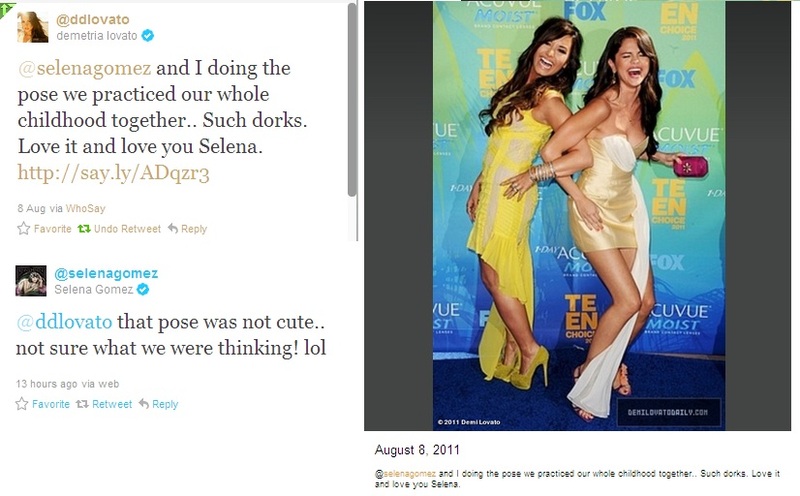 Demi and Selena tweet each other about their TCA's photoshoot :). TCA 2011. HD Wallpaper and background images in the Demi Lovato & Selena Gomez peminat-peminat club tagged: lovato demi selena gomez. This Demi Lovato & Selena Gomez peminat-peminat photo might contain potret, headshot, closeup, and headshot closeup. Demi Lovato on Ryan Seacrest this morning!! DELENA IS BACK! REALLY BACK!! rare pic 15 - delena hang out with david henrie, taylor swift, n 1 lebih friend. DEMI AND SELENA TCA 2011.. REUNION!!! Still One And The Same? DEMI AND SELENA!!! TCA 2011.. Wohoooo! !